Bowalley Road: Looking Forward To … Extinction? A Stranger Kind Of Magick. In Defence Of Conservative Leftism. Sinking In Donald Trump's Swamp. Nikki Kaye Returns To Save The Day. The No. 8 Wire Prime Minister. Winning Mt Roskill The Old-Fashioned Way. Prime Minister John Key Resigns. “Die Boomers, Die!” – A Dispatch From The Future. Looking Forward To … Extinction? 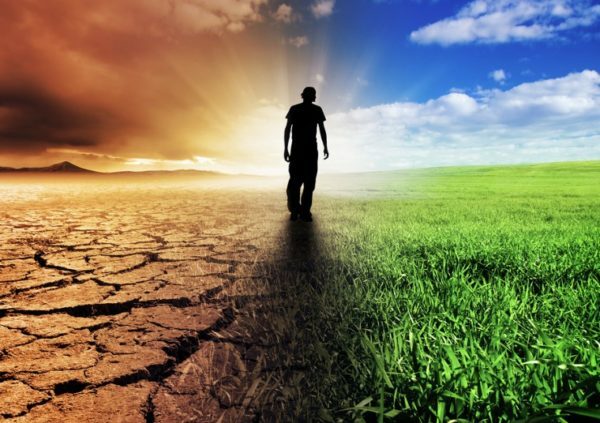 Crossing The Line: It’s one thing to be told that anthropogenic global warming is a real and steadily worsening problem that the world needs to address with the utmost urgency. But, it’s quite another to be informed, with Zen-like calm, that the planet is trapped, inextricably, in a deadly process of runaway climate change that can no longer be reversed. TEN YEARS – TOPS. That’s all the time the human species (along with every other complex organism on Planet Earth) has left. At least, that’s all the time Emeritus Professor Guy McPherson, climate-change doomsayer extraordinaire, reckons we have left. Ten years – or less. It was enough to leave the usually unshockable Paul Henry spluttering helplessly in front of the television cameras. Henry, and everyone else who witnessed the breakfast show host’s disturbing interview with the genial Arizonan academic. Because it’s one thing to be told that anthropogenic global warming is a real and steadily worsening problem that the world must address with the utmost urgency – lest by the end of this century, or the next, things start getting uncomfortably warm. But, it’s quite another to be informed, with Zen-like calm, that the planet is trapped, inextricably, in a deadly process of runaway climate change. A process whose every contributing factor is now worsening exponentially, and which long ago passed the point where human intervention might have averted the next great extinction level event in the planet’s history. Obliterating clouds of smoke rose to the heavens and fire fell from the sky. Carbon-dioxide levels skyrocketed and the atmosphere throbbed with heat. Oxygen levels plummeted and upwards of 90 percent of creatures living in the sea, and 70 percent of those living on the land, perished. So complete was the devastation that for a period of 10 million years there was insufficient plant matter to be compressed into coal. Geologists call it the “coal gap”. How can the accumulated CO2 emissions of a mere two centuries of human industrial civilisation possibly equal the combined impact of the Siberian Traps and an killer asteroid? Surely Professor McPherson is guilty of the most grotesque and irresponsible alarmism? Johnson’s words would be extremely reassuring if only McPherson’s visit to New Zealand hadn’t coincided with the release of the Arctic Resilience Report (written by scientists from the Arctic Council, a body made up of the eight countries whose national territory falls within the Arctic Circle). The Report warns that the Arctic is “undergoing rapid, sometimes turbulent change beyond anything previously experienced”. The Council’s findings are echoed by the director of the United States National Snow and Ice Data Centre, Mark Serreze. He told Scientific American that, even in Winter, the Arctic ice-sheet is continuing to shrink. It’s a polar phenomenon without known precedent: “I’ve never seen anything like it this last year-and-a-half”. That would be the same year-and-a-half during which, month after month, global temperatures have exceeded all previous records. The beatific Professor McPherson takes all of this gloom and doom in his stride. He has made his peace with the planet, which, he’s convinced, is about to undergo its sixth extinction level event. He counsels us to hold fast to those we love, and to devote ourselves to living, if not long, then well. Not so much Zen and the Art of Motorcycle Maintenance, as Zen and the Extinction of Everything More Complex than a Microbe. Some, of course, will not choose to “go gentle into that good night”. Others, like President-Elect Trump, will continue to deny the reality of global warming. Me? I’m putting my faith in humankind’s near-perfect record of predicting the wrong future. This essay was originally published in The Waikato Times, The Taranaki Daily News, The Timaru Herald, The Otago Daily Times and The Greymouth Star of Friday, 2 December 2016. I just can't get time off. Did a 14 hour day on Wednesday (minus 1 hour for lunch). Used about 200L of diesel. 130 or so got us back to Chch. Truck driver? Usually 40 large trucks up the centre South Island now 700 and soon 1,000 per day. Now Mainfreight is considering shipping synergy. We can't do anything for ourselves till a tragedy comes and virtually unties our hands. I want my country back in our hands. The news that 86 year old Buzz Aldrin was transported back from what used to be white space down in the Antarctic. I suppose he wants to get in the Book of Records that he has been to the top, bottom and sideways of the planet. Meanwhile in another country thousands are praying for some assistance. I'm putting my faith in mankind's predilection to get sidetracked from the main issue and finish with a Robert Rankin style outcome. I suggest that suitable reading is Terry Pratchett's Discworld, almost as random and weird as real life. And support greenies trying to bring some nobility into the 21st century. Well, if he annoys Paul Henry, he can't be all bad. And no, we can't get our heads around stuff like this, any more than the frog in the fry pan water realises he has to jump before he slowly boils. That we are buggaring the planet with our exponentially increasing billions being hoodwinked and controlled by criminal systems predicated on the power of greed is quite obvious. So many things must be in harmony on the paper-thin biosphere of the planet if disruption is not to result. We are blindly multiplying and plundering and poisoning, and those blessed with the ability to think beyond ME and MINE know well a day of reckoning is coming soon. But 10 years or less? Yes Bishop Tamaki the Earth is certainly speaking to us, and it comes from science, not Leviticus. It is telling us that the wealthy and avaricious and manipulative who have got there by exploiting and misusing others are the real destroyers. The Bishop's house doesn't have mirrors. We have lifted the lid on a Pandora's Box of demons. At the very least we are on the threshold of creating a Runaway Greenhouse where the warming effects of carbon dioxide will liberate even more potent methane from the frozen tundra and the ocean bottoms; the disappearing ice will not reflect incoming sunlight and greater rates of evaporation will increase cloudiness, keeping heat in. At worst the good Professor may be right. The car is rolling downhill without brakes and at ever-increasing speed, and we can’t stop, or jump. There is some scientific thought that the planet Venus, much the same size as Earth, has, in the distant past been in the Goldilock’s zone for life with oceans of liquid water; a more tropical Earth. At some point for some reason(s) it underwent a Runaway Greenhouse. Oceans boiled off. The resultant massive clouds held the heat in, resulting in enormous atmospheric pressures and temperatures that would melt lead at the surface. Result? The most hellish planet in the Solar System. Reversable? Nope. Solar radiation is breaking down atmospheric water molecules into hydrogen and oxygen, and the hydrogen is disappearing into space. So if the Prof’s horror story is right, perhaps his view that Earth might make good in a million of two years may be wrong. Another Venus would be beyond self-correction, ever. Bus driver. That's the point, I heard a panelist on The Panel and on his mind was getting together to get a message to Donald Trump, so why beholdest thou the mote that is in thy brother's eye, but considerest not the beam that is in thine own eye?. Our company had something like 58 buses working one day thanks to international tourists. Kim Hill was interviewing Andrew Little on housing policy. She couldn't get past xenophobia, xenophobia, xenophobia. Would you want your mother living in a converted bus? I know several bus drivers who do. They are respectable, hard working Kiwi women who just can't afford a home and yet from her high perch the arrogant Kim Hill screeches xenophobia, xenophobia, xenophobia. In an interview with Katherine Ryan a commentator called the left "the internationalist left". To internationalists xenophobia explains everything. sadly this emeritus professor is not alone, though perhaps not publicly.
" But that's not the worst of it. Arctic air temperatures are increasing at twice the rate of the rest of the world—a study by the U. S. Navy says that the Arctic could lose its summer sea ice by next year, eighty-four years ahead of the models—and evidence little more than a year old suggests the West Antarctic Ice Sheet is doomed, which will add between twenty and twenty-five feet to ocean levels. The one hundred million people in Bangladesh will need another place to live and coastal cities globally will be forced to relocate, a task complicated by economic crisis and famine—with continental interiors drying out, the chief scientist at the U. S. State Department in 2009 predicted a billion people will suffer famine within twenty or thirty years. " Whether it is 10 years or 50 the trajectory doesn't make for happy outcomes of that we can be fairly confident...and the journey to that outcome will not be pleasant. Is it too late?perhaps.....should we at least be attempting to salvage an environment for our offsprings future existence?....does the question really need to be asked? For a more sober but still pretty scary take on the problems of climate change, I recommend, Jim Flynn's *No Place to Hide*. This is book which *you* Chris really need to read and review. Leave Kim Hill alone will you. I am sick of hearing your ravings that do not add anything worthwhile to the discussion of today's problems. The people who rail against Kathryn and Kim seem to blame them for the problems they are discussing on their shows, or for not producing a clear answer to such problems. To pick on the best interviewers we have and wish them to be better is to ignore the fact that there is no-one else available to do better. Encourage them in their questioning, wish them good health and a long life but stop there. They have to be able to handle interviewees of all sorts, topics of all sorts, keep alert and interested, present well so that they are interesting to a vast array of people. And last of all. You jh wouldn't be a better interviewer. You are on a llll-track way in your thinking - linear. Can you give up your addiction to the words immigrant and xenophobia and open your synapses to new experiences? Frankly I am bored with you. A hint - do not apply for a job as a Radionz journalist - though you might try Spinoff. It appears they go for the type that describe themselves as 'passionate' about their favourite topic. Just remember JH. If global warming continues on its present track, we'll get a shitload more immigrants. And we probably won't be able to do a great deal about it other than stick you on the border somewhere at the top of the North Island, with a gun. Preferably without Internet.